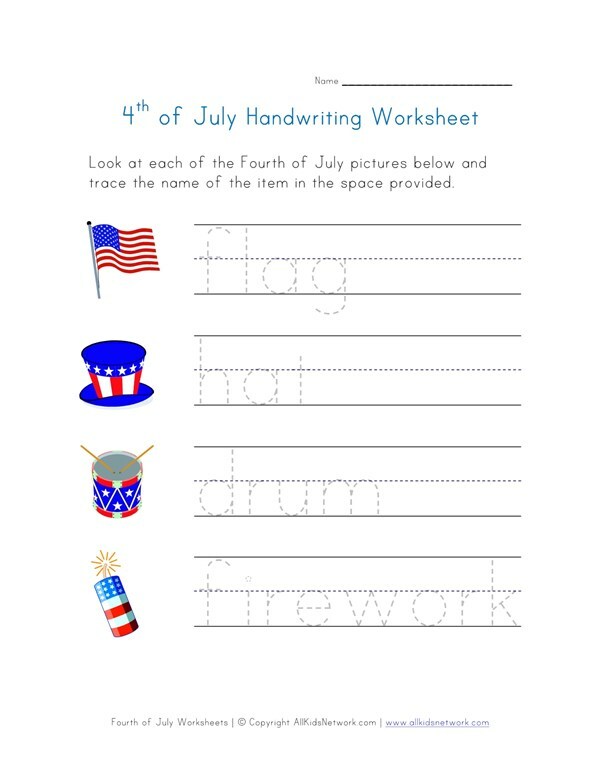 Help kids practice their handwriting skills with this free printable Fourth of July themed worksheet. Children are asked to look at the 4th of July pictures next to each line and trace the letters to write the word. 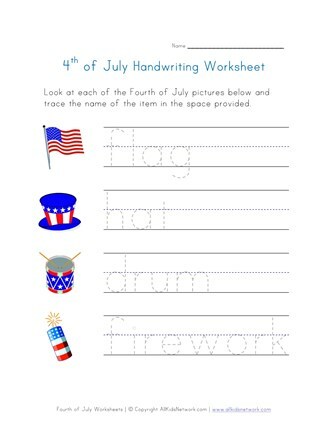 This makes a great worksheet for kids that are learning to write and during the 4th of July season.